OBaH turned a family legacy into a profession, becoming a rising industry music producer and highly sought after NYC DJ. OBaH stands for Oldskool Beats and Harmonies for a very good reason: he’s the son of veteran NYC DJ/Musician/Professor and activist, Baba Chico. Growing up, OBaH had the world’s best funk, jazz & soul records at his fingertips. Armed with his father’s epic library of music, OBaH quickly made his mark on the NYC club scene, becoming the resident DJ at several nightclubs in his native Brooklyn. Quickly gaining respect and a solid fan base, his first big break came courtesy of world-renowned DJ, Rich Medina, who invited OBaH to spin at his weekly party at the legendary (now defunct) APT nightclub in the Meatpacking district of NYC. Since then, OBaH has spun in well over 75 venues in NYC, across the U.S. and abroad, has DJ’d private parties for Alicia Keys, Lenny Kravitz, JAY-Z, Donna Karan and many other A-list celebrities. His talents have also been commissioned by brands including Louis Vuitton, Vogue magazine, Diesel clothing, Puma. Cultural institutions, the Brooklyn Museum, The Kennedy Center, L.A.’s Grammy Museum, Tribeca Film Festival, Fall for Dance festival, as well as live performances by hip hop legends KRS-ONE, and Brand Nubian, among a long and deep list of international bands and acclaimed DJ’s. In 2008, Dubspot records released the highly acclaimed “Funk Aid for Africa” charitable compilation which was compiled, mixed and co-executive produced by OBaH, who also participated in a national coast to coast tour supporting the release. In 2010 and 2011 OBaH represented NY as the resident DJ for the “New York Stage” of Czech Republic’s largest music festival “Colours of Ostrava”, where he provided live sets around a host of International artists, including Roy Ayers, Tortured Soul, Don Blackman, Electric Wire Hustle, to name but a few. While OBaH continues to spin on a weekly basis in NYC, he is also fast at work producing remixes as well as original compositions for television and film. Several of his tracks have been featured on networks including MTV, Bravo, HBO, NBC and A&E. His remix for ESL recording artist Ocote Soul Sounds landed him a full page feature article in DJ Times magazine (march 2010). In March 2014 OBaH released his debut solo EP “Cross Fade” and garnered overwhelmingly positive feedback from taste makers and press (Vibe.com, OkayFuture, DMConline). Later that year he made his theatrical off-Broadway debut, as associate music director, starring and performing as a DJ in “A Sucker Emcee” at the famed Labyrinth Theater, performing alongside acclaimed poet & actor Craig “Mums” Grant (HBO “Oz”). The show was later revived in the summer of 2016 for a few highly publicized shows, at Crotona Park in NY as part of The Nuyorican Poets Cafe’s Summerstage showcase, as well as the Hi-arts (formerly known as The Hip-Hop Theater Festival) showcase at the famed Kennedy Center in Washington D.C.
Brooklynradio.com is currently hosting OBaH’s highly rated mix show “Recycled Funk”. 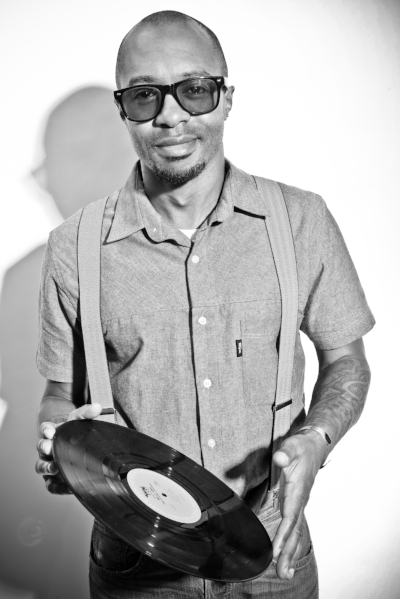 And last but not least, OBaH spent 7 years teaching aspiring DJ’s the craft as a senior staff instructor at Dubspot, NYC’s preeminent electronic music production and DJ school. His work at Dubspot has been featured in the U.S. on the BET network (106 & Park, The Pullup) as well as media in Brazil and France. He takes his “formative education” with him wherever he goes (thanks, Dad).